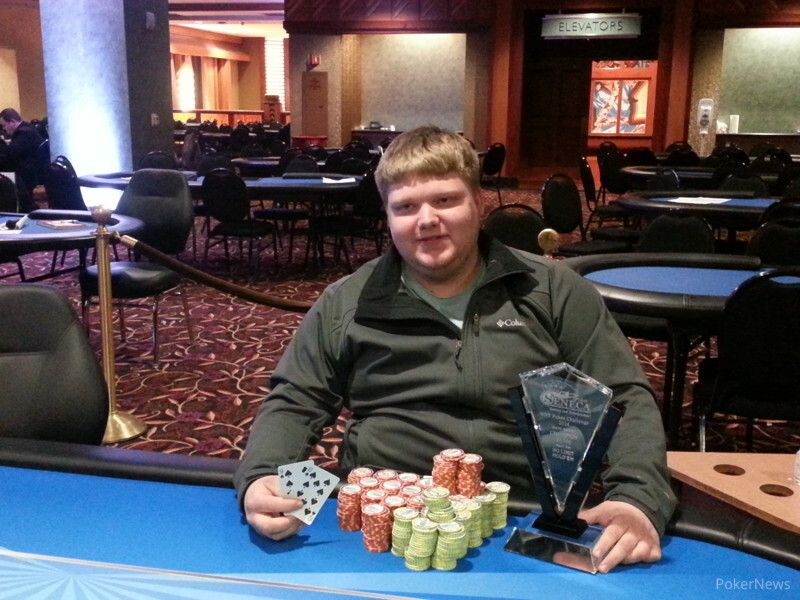 On Sunday, the 2014 Western New York Poker Challenge $1,100 Main Event, a tournament that attracted 183 entries and created a prize pool of $176,595, came to an end when Nicholas Walker defeated Kyle Gay in heads-up play to capture the $37,061 first-place prize. Day 2 of the Main Event returned with 34 players, and 13 of them had to go before the money was reached. Among those to leave empty handed were Robert Bourkey, Todd Saffron, Jim Goertz, Dave Grana, Kyle Gauchat, Blake Napierala, and Tracy Rouse. Rouse actually fell as the bubble girl. It happened in Level 17 (3,000/6,000/500) when Rouse, who had grown extremely short, decided to move in her last 18,500 under the gun. Joe Cruz called from middle position, and Nicholas Walker came along from the small blind. Both active players then checked it down as the board ran out . Rouse shook her head and showed the for not much of anything, and Cruz rolled over the . Walker mucked, which meant Cruz eliminated a disappointed Rouse as the bubble girl. Her elimination secured the remaining 21 players a guaranteed payday of at least $2,119. On the way to the final table, 11 more players fell by the wayside including 2014 Western New York Poker Challenge Event #1 winner, Kevin Mathias (21st - $2,119); defending champ Matthew Sande (20th - $2,119); and Joseph Elia (18th - $2,296), who won Event #2 $500 No-Limit Hold’em earlier in the series. 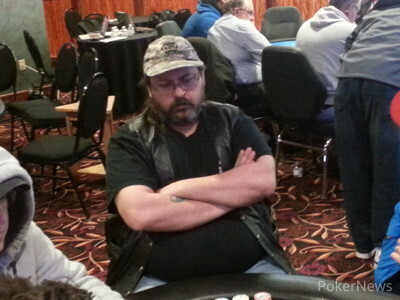 The first casualty at the final table ended up being Mike Shavensky, who fell in Level 21 (8,000/16,000/2,000) when Andre Smith opened the action for 35,000 and received a call from Bob De Wolfe. Shavensky then moved all in for right around 170,000, and Gay moved all in over the top from the big blind. Both Smith and De Wolfe folded, and Shavensky sensed that he was in trouble. Indeed, Gay had woken up with the best hand in poker just at the right time. The flop contained a paint card, but not the one Shavensky was looking for. The same can be said of the turn, meaning Shavensky was down to two outs headed to the river. The dealer burned one last time and put out the . Shavensky fell in tenth place while Gay, who was the short stack at the start of the final table, vaulted to over 600K. From there the eliminations continued and included Joe Cruz (9th - $4,062), Johannes Mueller (8th - $5,121), Pete Kaemmerlen (7th - $6,534), Travell Thomas (6th - $8,653), De Wolfe (5th - $11,125), and Louis Aquilina (4th - $15,011). When three-handed play began, Gay was on the extreme short stack, but thanks to three doubles he found himself right back in contention. That is when the final three struck a deal. Once the numbers were finalized, Smith moved all in blind and was promptly ousted in third place. Gay and Walker engaged in a short heads-up battle, but eventually the chip advantage of the former proved too much to overcome. 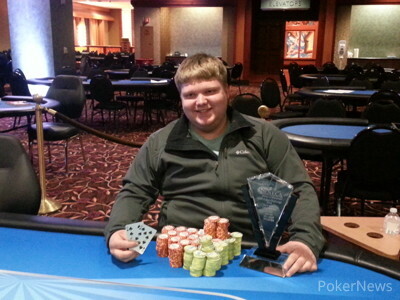 Congratulations to Nicholas Walker, winner of the Western New York Poker Challenge Main Event! 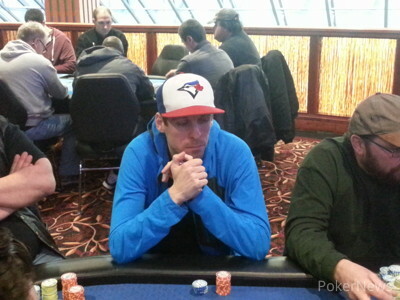 After a short heads-up battle Kyle Gay was eliminated in second place. In the first hand after striking the deal, Kyle Gay opened for 60,000 and Andre Smith moved all in without looking at his cards. Nicholas Walker called from the big blind and Gay got out of the way. "You'll probably win," Walker laughed. Smith seemed content to have locked up the money that he did, and the trophy apparently didn't have much appeal. That said, he wasn't too upset when the board ran out and he was sent out the door in third place. My how things have changed. Kyle Gay began three-handed play as the extreme short stack, but thanks to three doubles all through Nicholas Walker, he's now second in chips. In the second one, Walker raised to 60,000 from the button then called when Gay moved all in for 398,000. "Whoops," said Gay. He had clearly picked the wrong spot, but in such instances a player can always get lucky. That's just what he did when the flop delivered him trips. Walker was in disbelief and watched as the turn and river failed to help him. A short time later, Gay got his stack all in against Walker on a flop. Both players had flopped two pair, but Gay's was best. Neither the turn nor river changed a thing, and now all three players are talking chop. We'll keep you updated. Nicholas Walker opened for 60,000 under the gun and then called when Louis Aquilina three-bet to 130,000 from the button. Walker then checked the flop and snap-called when Aquilina moved all in for 669,000. Both players had paired their ace, but it was Walker's kicker that made him the huge favorite. The turn swapped their spots, meaning Aquilina needed a king to make a straight and stay alive. 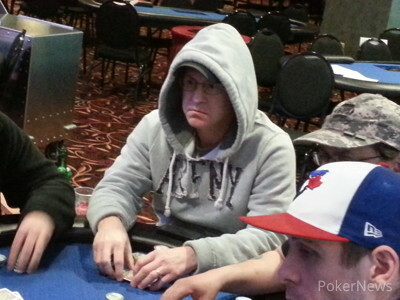 The river wasn't what he was looking for and he had to settle for fourth place and $15,011. Who Will Capture the 2014 Western New York Poker Challenge Title?